Roses are red, violets are blue.Only one woman could make NFL star Gideon Wells walk away from the Super Bowl: His Mama, "Queen" Elizabeth, the beautiful, strong black woman who adopted him and his two white brothers when they were just kids. 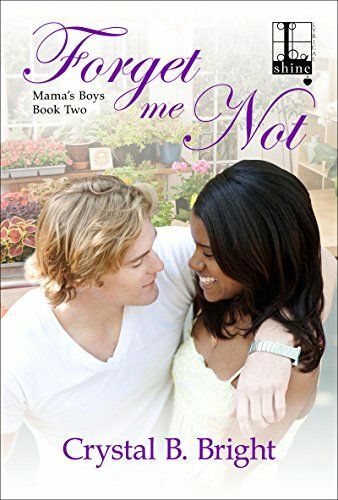 So when Elizabeth develops a pressing health issue, Gideon doesn’t hesitate to come home and run the flower shop she loves almost as much as her boys. But there’s an unexpected complication in Queen Elizabeth’s shop: and that complication looks really good in a gardener’s apron and pruning gloves. This mama’s boy has a naughty side too.Janelle Gold has always thought of herself as a geek, more into books than sports, preferring brains over brawn. So a gorgeous jock like Gideon Wells is not exactly the type she usually goes for. But there’s something about the hot quarterback that makes Janelle think sometimes opposites do attract, and it’s not just his dedication to his family, or the fact that he can hold his own in the flower shop. There’s just something irresistible about a man who stops to smell the roses.